A Chain With A Broken Link Highlighted Red To Highlight The Weak.. Stock Photo, Picture And Royalty Free Image. Image 16948319. 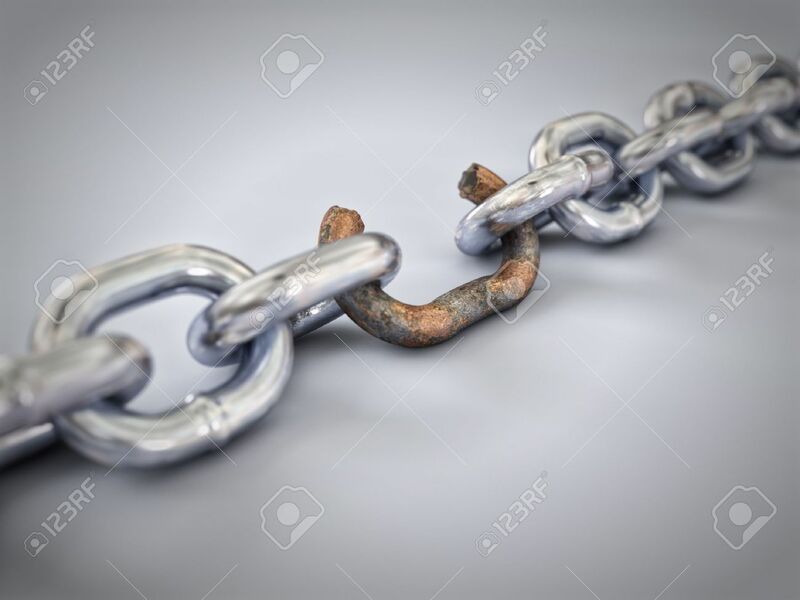 Stock Photo - A chain with a broken link highlighted red to highlight the weak link. A chain with a broken link highlighted red to highlight the weak link.